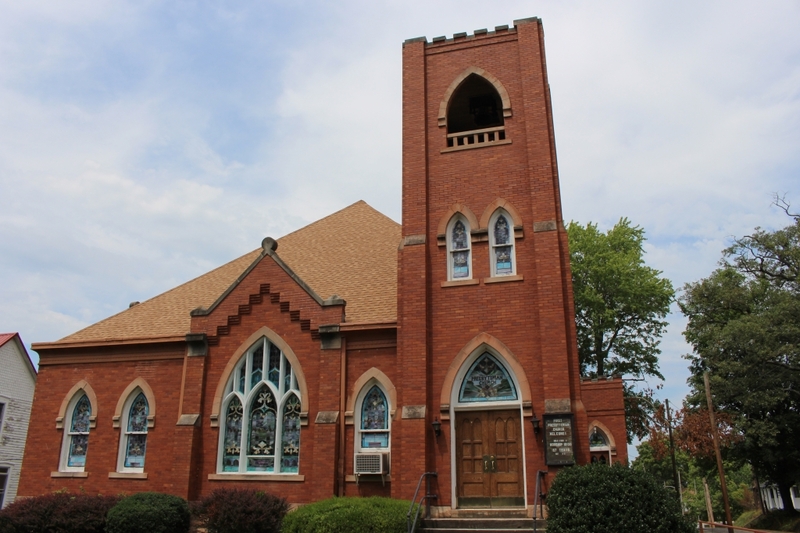 Twenty-five years after Albion was established as a frontier community, the First Presbyterian Church of Albion was organized on May 23, 1843. The church was organized as a Cumberland Presbyterian Church. In 1906, the Cumberlands, nationally, re-united with the Presbyterians USA, from which they had separated in 1806. Six persons made up that first organizing church, with the Pastor William Finley: Mr. & Mrs. Alexander Steward, Mr. & Mrs. Samuel Pritchard and Mr. & Mrs. Joseph Clark. Mr. Stewart was elected elder and served for 41 years and 25 years as clerk. A frame unit was built in 1854. The second 60’ by 40’ brick structure was constructed on the same site in 1878. The present building was built in 1910. It was reported at the 1911 dedication that all the $10,000 invoices were paid with funds remaining! Many dedicated souls have served this congregation through the years. We say, “Thank You” for their hard work and sacrifices. Though times are changing, we still worship here today, though we are fewer in number. We will serve the Lord as long as we are able. We recently celebrated 175 years of ministry in Albion.